Offering your family peace of mind knowing that your loved one is well taken care of, our daily living assistance services will support an independent quality of life at home. From meal preparation to hygiene maintenance, we offer a variety of in-home care services tailored to your needs at a price you can afford. 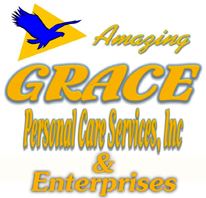 Get the helping hands you need to maintain your elderly or physically challenged loved one with Amazing GRACE Personal Care Services, Inc & Enterprises. Our non-medical, in-home personal care and companion services are available throughout the Rio Rancho, New Mexico, area. 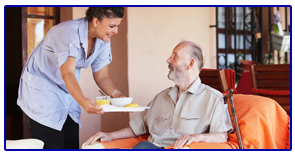 As a Christian-based company that is fully-government certified, our services are ideal for seniors or disabled individuals who want to continue living independently at home, or family members who are struggling to care for their loved one while working full-time. Established in 2006 by a former pastor, our company is dedicated to providing exceptional care for all of our clients. We treat everyone like family to provide compassionate daily living assistance that is personalized to your specific needs. Fully bonded, we accept private pay and insurance. With over 15 years of experience, we started in Gallup, New Mexico, and are now expanding to Rio Rancho. The mission of Amazing Grace is to enable elderly or disabled individuals to live in the comfort of their own home and achieve the highest level of independence possible.